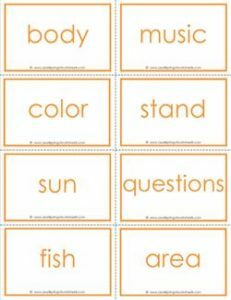 Fry word flash cards – the fourth 100 comes in a soft orange. Fourteen pages, eight nicely framed words per page. For 4th and 5th grade.